Lycoming football fans, coaches and players, do not stress too much over this video. I know it hurts right now to watch, but in time, you too will understand. You see, Lycoming football has been through this a couple of times in it's pigskin history just before greatness appeared. I will give you some examples. Let's go back to the start of Lycoming football back in 1947. That was 71 years ago. The Warriors had a winning season but the School Administration faced with rising costs decided to suspend football from the school programs in 1950. A real setback and blow to lovers of football and the freshman, sophomores and juniors on the team. In 1953 because of all the feedback from certain students and other influential people in the community, the administration voted by a narrow margin of one vote to reestablish football IF the students voted yes to a $10 increase in their activity fee. Football would be back in the fall of 1954. Well, because of people like Tom Aubrey who wrote "Ten Bucks and a Yes Vote" and the publicity they spread as students at that time, the student vote passed overwhelmingly. From sorrow to joy for Lycoming football. Lycoming went through a string of seasons with losses during the Budd Whitehill years. In 1971, Whitehill (The Hall of Fame Wrestling Coach) called it quits. Enter into the football picture Frank Girardi, a high school coach from Jersey Shore, PA. After a 10-30 record, Coach "G" as he was eventually nicknamed, was charged with turning the program around. His first year of coaching was not pretty. A 2-6 season. Along with that, On September 23rd, in the early morning hours of his very first game against Albright, his house burnt down. He still made it to the game in Reading, PA. 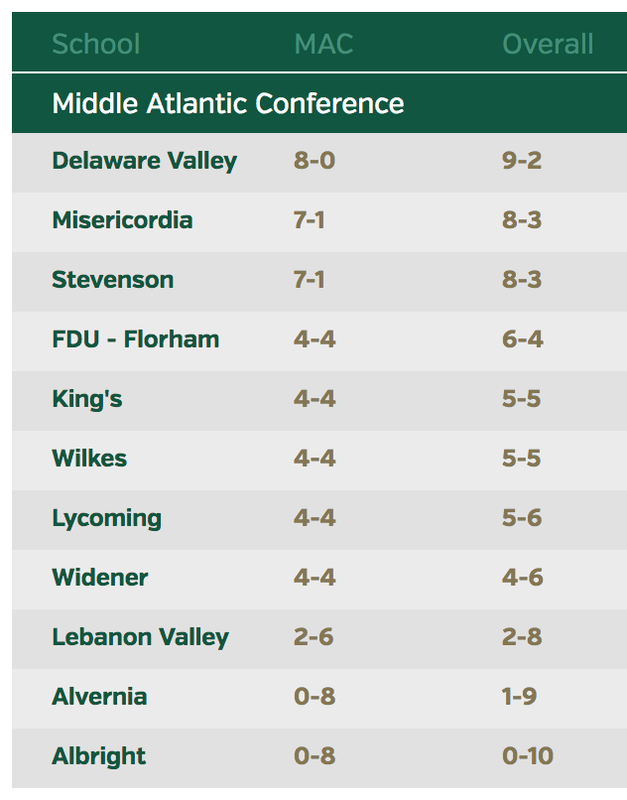 So how did they do against Albright? They lost 39-0!!! Talk about bad luck and perseverance. And there was the 1973 season. Another 2-6 season and the worry that this might be it for him. In 1974 the Warriors improved to a 3-6 record and Coach "G" thought he would surely be fired. But Coach Girardi hung in there and had a 6-2 season in 1975. And two National Championship game and other record, the rest is Lycoming Legacy. Kids have to learn to trust their coaches. So I hope I am coming to you with a clear message. It is as I call it the "Pursuit of Greatness," that is the game that we play in football and in life. It is not always the wins or losses. It is how you handle the game. Lycoming football has been through ups and downs. You will also be through ups and downs in life. It is hard to accept defeat, I know, but there is always sunshine after a storm. So for you seniors, I hope your life if full of sunshine and your goals met on this earth. You will have those ups and downs but you must keep going in the "Pursuit of Greatness. My daughter loves golf. She can hit the ball and loves to play the game. One afternoon we went to the White Deer Par Three course and played nine holes. She was having a bad day, but I kept encouraging here to keep trying. On the last hole of the day, she hit a shot 40 yards to the right of the green. She was frustrated for sure. But I kept on encouraging her to keep hitting the ball. On her next shot, she hit it high above the green. It landed on the top level of the forward sloping green and rolled up to the cup and trickled in for a 40 yard birdie! The moral of all of this is to keep hitting the ball. Something good is going to happen. That is what this 2018 football team has done. They have set the table for that birdie shot coming from Lyco football. Thank you fellows for all you have done over this season!